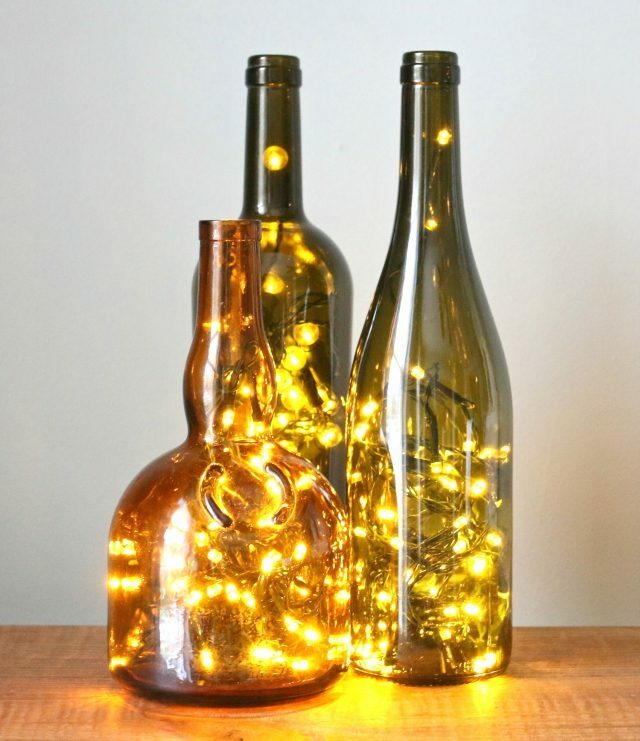 *A short string of LED lights, about 55 lights and 10 feet of cord, will perfectly fill a standard glass wine bottle. 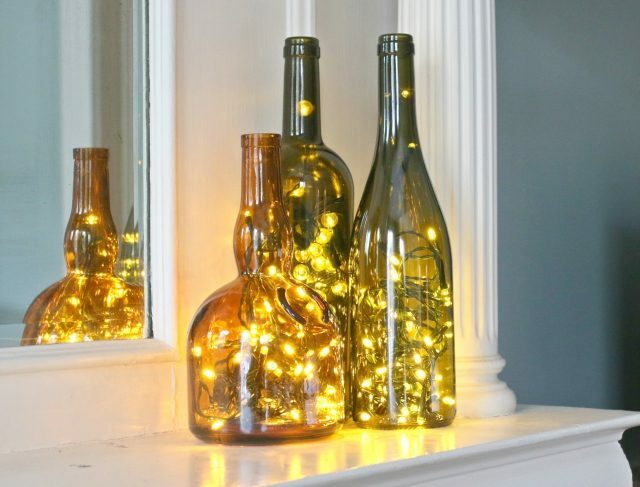 LED lights stay cool to the touch, preventing the hazard of hot glass. 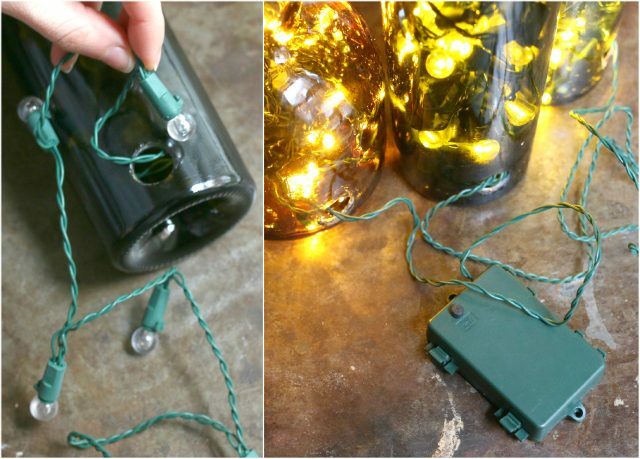 Using a battery operated light string allows you to place the bottle light anywhere, regardless of nearby outlet access. Prepare the bottle by removing any paper labels from the glass. To lift the paper, a razor scraper is a favorite method for quickly removing labels. Use an adhesive remover to wipe away any remaining adhesive left on the bottle, and then clean the glass with warm soapy water. Allow to fully dry before moving on to the next step. 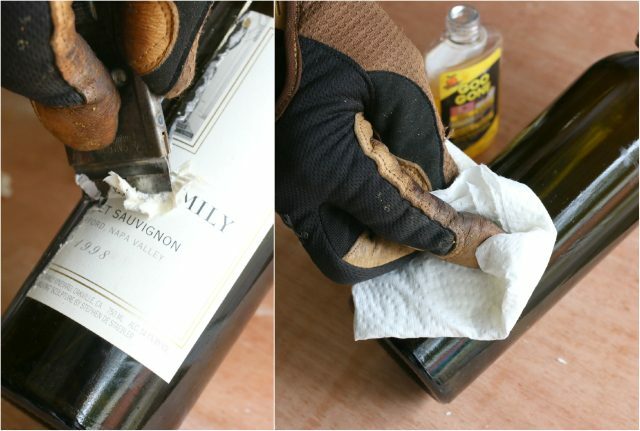 Apply a 2-inch piece of duct or painter’s tape on the back of the bottle just above the base. Doing so helps provide a visual place marker for drilling and keeps the bit steady while first drilling into the glass. 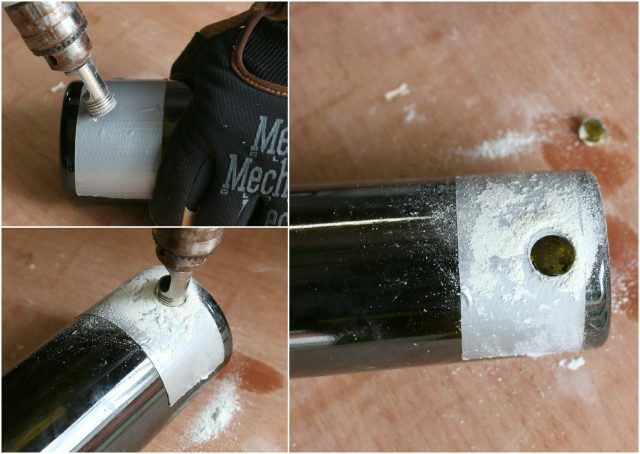 Wearing gloves and protective eyewear, drill a hole into the glass. Place the diamond hole saw on a 45-degree angle against the tape and begin drilling to get a first bite into the glass. Transition into a 90-degree angle flat against the glass and continue drilling all the way through the bottle, letting the bit do the work. The diamond bit will gradually work through the glass with very lightly applied pressure. It may take up to a full minute of drilling; look for a light glass powder residue to know it’s working. 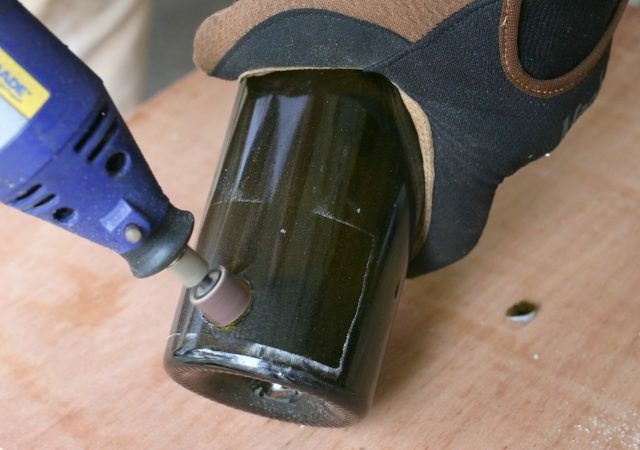 Remove the tape from the glass bottle, and then use a Dremel with a 120-grit sanding band to smooth away any sharp edges around the freshly drilled hole. 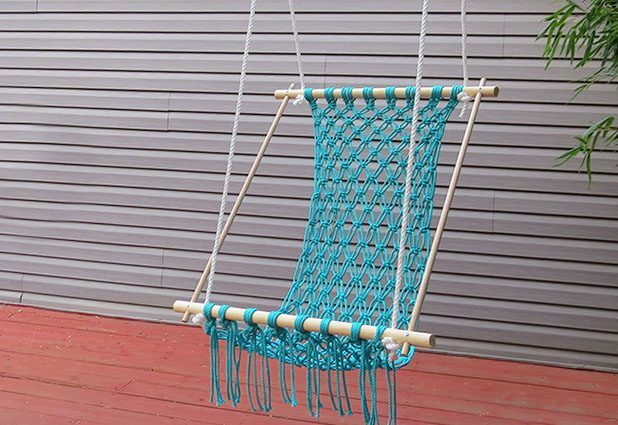 Using a Dremel and sanding band allows for detailed and quick sanding all the way through the hole. Sandpaper sheets will work in place of a Dremel and sanding band if you don’t have one. 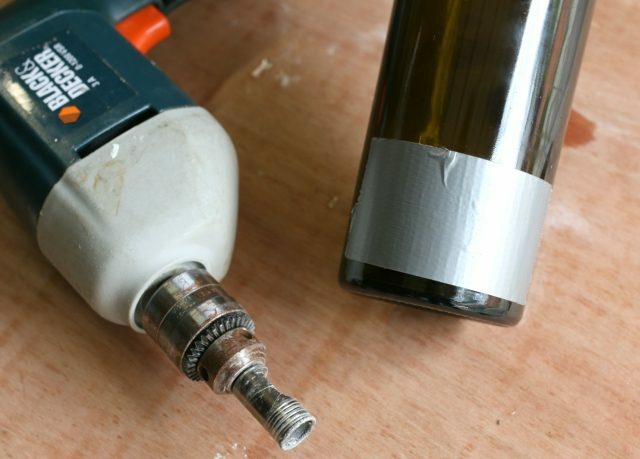 Rinse the bottle to clean away any residue from drilling and sanding, then allow the bottle to fully dry before moving on the next step. 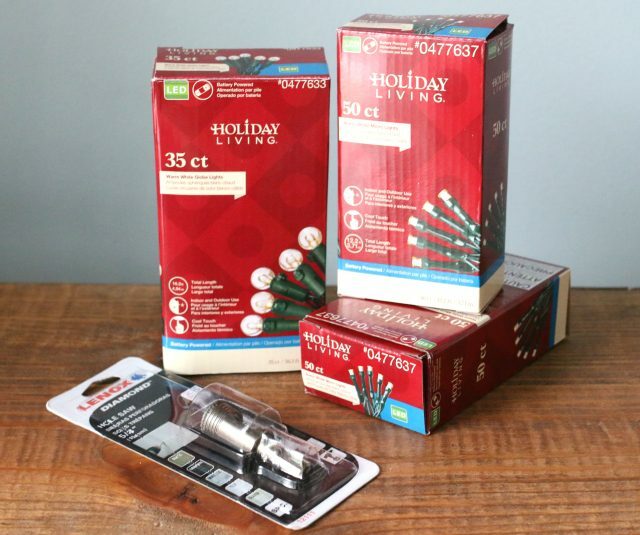 Thread the LED string lights through the hole in the glass, filling them in until the last light before the battery pack has been tucked inside. Use a chopstick to help guide portions of the light bundle into the glass neck, which will help provide some visual variance once the lights are turned on. Turn on the battery pack to test the lights, and continue to reshape or tweak the interior bundle for your desired look. 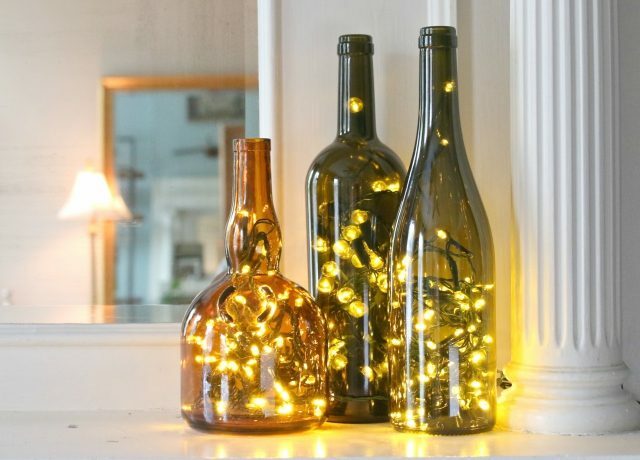 Arrange and display the bottle (or group of bottles) to help illuminate a small space, dark corner or to provide a festive touch around the holidays.